There’s nothing more embedded in Australian culture than spending summer days outdoors, especially in your own backyard. When it comes to entertaining at home in summertime, your windows and doors should ideally play an important part of your building plans. 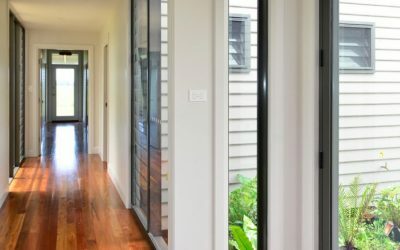 Whether you’re hosting a barbie with friends and family, playing backyard cricket with the kids, sunbathing by the pool or simply sipping a cup of tea and reading a book in the fresh air – the layout and design of your windows and doors can help you make the most of the warm, summer days at home. It’s all about blending the indoors with the outdoors when it comes to enjoying the warmer weather. Windows and doors can help seamlessly connect the main entertainment areas within your home, including the kitchen and dining room, to any outdoor space such as the deck or backyard to create a true alfresco lifestyle for you and your family. Expanding your entertainment area can completely transform the way you live and entertain at home. In Victoria, daylight savings has already graced us with lighter, longer evenings. 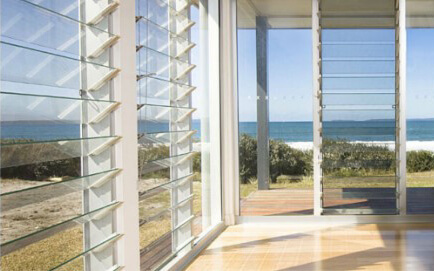 However, many homes are not designed to embrace and optimise the available natural light. More light in your home creates an inviting, welcoming appearance and the illusion of having more space. This is ideal if you are in a small apartment or when you have multiple people visiting your home at the same time. Optimising natural light within your home can be easily achieved by placing windows and doors in the correct location, to harness and use the sunlight in the best way. Windows and doors can also be used to improve ventilation and control the amount of light that enters a room. This can help save on household energy bills as it eliminates the need for excessive air conditioning and artificial lighting. The more money saved on energy, the more you can spend on entertaining family and friends at home! Bi-fold windows and doors are an increasingly popular choice for opening up entertainment spaces. They are designed to be conveniently folded and stacked away when not in use, and are versatile enough to be used in various areas of your home. Homes that have a combined indoor-outdoor entertainment space are highly sought after in Australia. This does not mean you need to install a swimming pool or state of the art facilities – Australians are placing high value on properties with indoor-outdoor entertainment spaces because they add another dimension to the home. Whether you’re planning on using windows and doors to open up a balcony, terrace or courtyard – embracing the alfresco lifestyle will instantly add resale value to your home. We’ve been designing, manufacturing and retrofitting window and door systems for properties of all sizes across Melbourne and Victoria for over 30 years. To understand how you can fully make the most of the natural summer light, or for more advice on window or door designs for a new entertainment area, contact our team today on 03 9464 0533, or enquire online for a free, no-obligation quote. As either a residential or commercial property owner, you may have noticed that winter can bring new and different maintenance challenges.